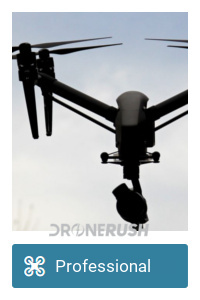 In the world of drones, there are few manufacturers releasing products as fast or well as DJI. One of their recent announcements was a large stake purchase of Hasselblad cameras, proving a passion for high-end photography. 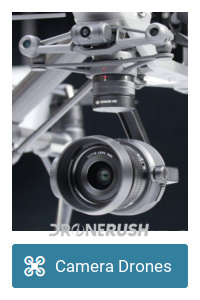 That passion is even more evident today with the release of the new Zenmuse X7 camera. 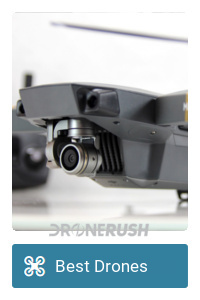 Before you dream of installing this camera on just any drone, let’s be clear, until further notice, the camera only works on the DJI Inspire 2. There are many things that make up the Zenmuse X7, but I suspect the big spec most will care about is the ability to record 6K video. 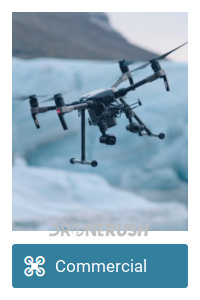 As our world slowly embraces 4K video in all the things, DJI has been pumping out 5.2K video on the Inspire 2 drone for almost a year now. That was the Zenmuse X5S camera that we were on hand for the announcement last year. This time out, they are stepping up in a big way with the X7, with a staggering specifications list for camera fans. We’ll not explore all the specs here today, but we’ll hit some of the highlights for sure. The X7 has a Super 35 Sensor with pixel sizes up to 3.91 umasdfasdfasdf, a diagonal length of 26.6 mm and up to 14 stops of dynamic range. If you do not know what that means, suffice to say that this camera should absorb more light and information than any drone camera I know of. Actually, we’re talking big-league Hollywood camera levels here. Some specs that more will be familiar with: maximum camera resolution is 6016 x 4008, that’s 24 MP stills. That’s a 20 fps burst mode. When recording video, you’ll see 6016 x 3200 at 30 fps. If you are looking for 60 fps, you’ll be limited to Cinematic 4K resolution. 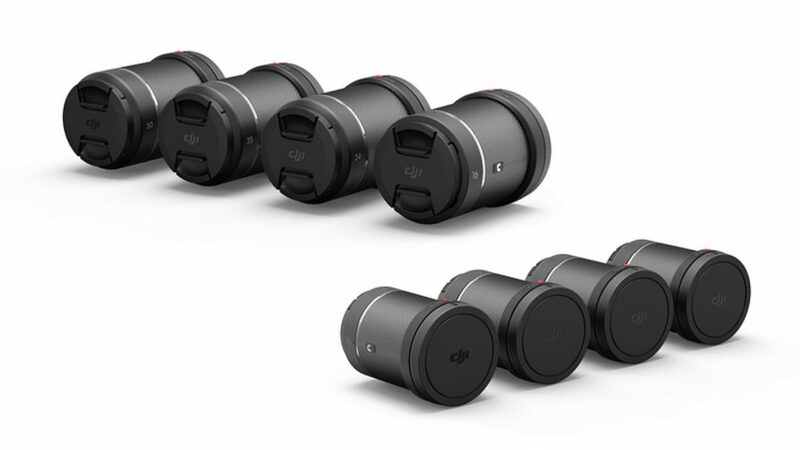 Those serious about their cameras should do a bunch more research into this new camera, the rest of us can just enjoy that there are four interchangeable lenses. Like any good DSLR or better camera,. slip on a new lens for anew view, the X7 has 16 mm, 24 mm, 35 mm, and 50 mm lenses available for now. As should no longer be a surprise to fans of DJI, they’ve set a new standard for aerial photography. The new Zenmuse X7 is a camera that, frankly, has no competition at this time. 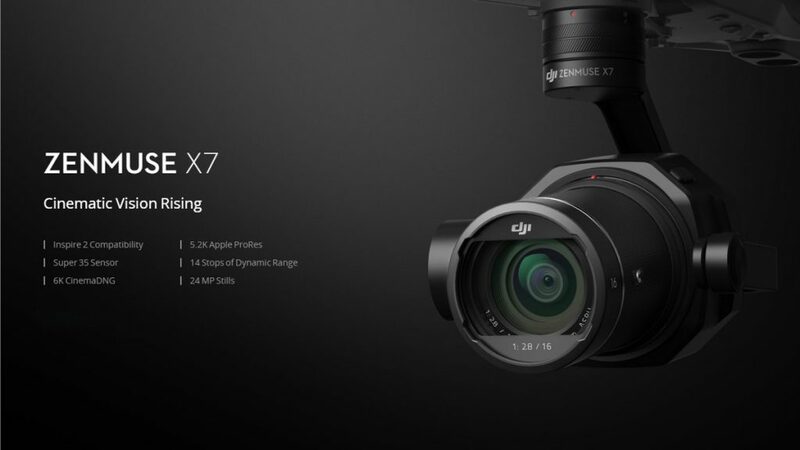 Available for order now, with shipping set for mid-November, the DJI Zenmuse X7 is $2699.00. Once you have the camera, however, you’ll need one of the lenses, they are $1299 each, or all four for $4299. What do you look for in your drone camera?